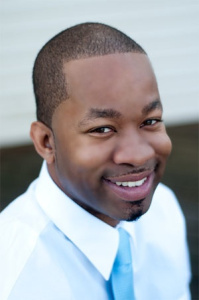 Client Tales: Can Robert Coach Your Business To The Next Level? We came across Robert Kennedy III a few months ago, when he surprised us by writing this piece about his experience with Quote Roller — and we’ve been impressed by him ever since. I subscribe to his newsletter, which has a lot of inspirational tips and features for entrepreneurs. 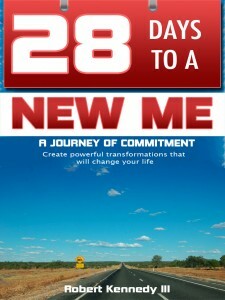 And now he’s written an e-book (and you know we like going paperless) called 28 Days to a New Me: A Journey of Commitment. We all get so busy with other things in life, and his book can help you get you re-focused on committing to and achieving your goals. So without further ado, let’s get to know Robert! Robert Kennedy, III: I’m an entrepreneur at heart. 28 Days, LLC. is my fourth business. Currently I am a performance coach and business consultant. I help newer small businesses — usually under five years old — figure out where they want to go and what tools can help them get there. Robert: Wow! Awesome question. I started it because it seemed like this was the type of question people kept asking me anyway, both inside and outside of my business. I really love to help not just businesses but people become the best people they can be and see beyond what they think is currently possible. Robert: I love the challenge. The journey. The process of building something and evaluating where you are. The opportunity to be creative and innovative without having to wait for it to go up the chain. Robert: Success is sufficiency. Being content with life, being happy with my family. Being able to spend time with them and watch my children grow. Being able to serve and contribute to the lives of others. That is all SUCCESS. Robert: With my previous business, I really wanted a bunch of apps that worked together. I had an e-learning and training company and was using Google Apps for my backend. So, I wanted things that integrated with Google Apps. I initially began using a CRM called Capsule and simultaneously found Quote Roller in the Google Apps Marketplace and was able to link all of them. This was awesome for me. Then I connected them with Box and I just had this great ecosystem working. My second company was a web development company and I used to use a desktop proposal software and so I knew that rewriting proposals was a pain. So, I always look for an easier way to do things. Robert: Well, first of all, I have had a few clients sign simply because they were impressed with the Quote Roller system. They immediately saw us a a company that had technical know how and was aware of tools and systems that could streamline business. Second, it just saves time with doing everything online. I don’t have to check through emails. I know when people open proposals. I can click one button and archive the proposal to my system in PDF format. E-signing is available. It’s just a big time saver. Robert: Easy! Get it! Use it! Seeing the acceptance rate of proposals in my funnel per month and over time right on my Quote Roller dashboard is AWESOME! !